different color to the outside edge. . How good would that be to have a Quilling Fringer! Well now you can with the new safety fringer from Jonathan Mayne. papers to make this possible. 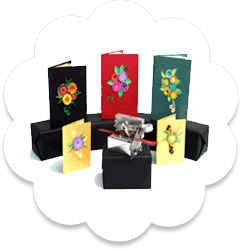 Check our range of Quilling Fringer tools, papers etc. Fully enclosed hardened steel blades-safe for fingers to 6mm. Simple and easy adjustment-one tool that clips underneath so it won’t get lost. Rubber feet that grip without scratching. Stylish and colourful, made from carefully selected polymers. end as the perfect reminder of how they saw the world at that tender age. Children’s art is unique and they never illustrate this way ever again. See also our kinder certificates, beeswax candle kits, bendable dolls etc.